26" Length Raw Edge Melange Scoop Tank. 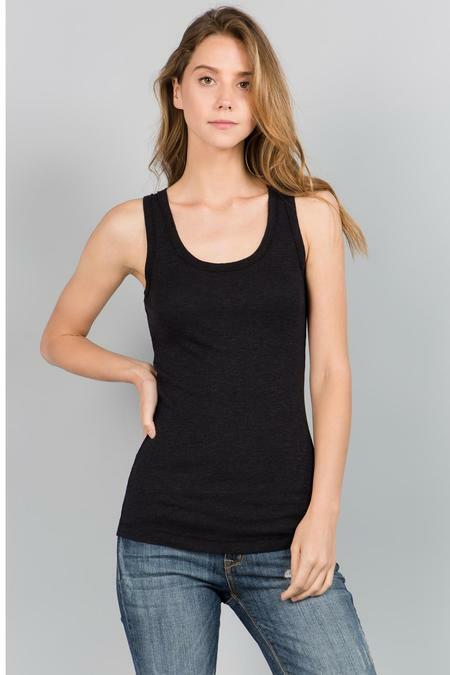 The same fit as our Standard Tibuton tank #2002 in our Melange 2x1 Rib. The raw edges gives it a unique raw look and the melange fabric gives it a mutli color look that you won't find anywhere. Knitted with our DNA Spandex for a natural stretch with great recovery all day long. We use only the best yarn to insure the garment last for longer than you could imagine. Model is 5'9" in size small.